Located in London in the Greater London Region, this holiday home is 600 metres from Olympia Exhibition Centre. The unit is 1.4 km from Hammersmith Apollo. Free WiFi is provided throughout the property. Portobello Road Market is 1. 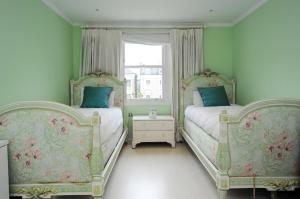 See all Six Bed Family Home Kensington reviews..